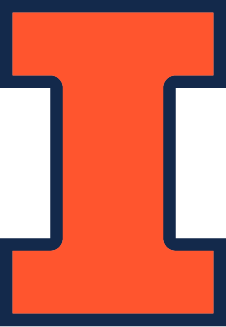 Welcome to the Materials Research Lab At Illinois homepage! The MRL facilities has a service lab for biological and soft materials. Consultations to discuss the specific needs of your project. In-house negative staining for virus, bacteria, protein, polymers, nanoparticles etc. This includes our own custom made formvar grids as well as our grids covered only in carbon, using our own stains. Bring your sample to an appointment, and let us do the rest for you while you watch. SEM preparation for biological materials: We will develop custom-made preparation procedures to accommodate your specific type of sample and research project. Full embedding and microtoming services, including cryo-ultramicrotomy. We do offer training on both of these techniques. Soft materials can be embedded and microtomed for TEM sections or we can have the block face polished for AFM, EDX, nano indentation and other specialized procedures. Experience with preparing biological samples using fixative. The full embedding procedure can be done for you in epoxy or specialized resins. Sectioning can be done for light microscopy at 0.35 microns or for TEM viewing at 60-100 nm, and includes all needed staining. Typical samples range from fibers and tissue to bacteria and protein, as well as hydrogel and other soft materials. We have experience in viewing zoo pathology, human medicine, virology and a variety of biological samples including plant material. Our service lab is equipped with a dedicated Hitachi H600 TEM system, which can be operated at low electron acceleration voltage (25, 50, 75 or 100 kV), spherical aberration Cs = 1.4 mm, zoom mode up to 800,000x, using a W filament providing an electron beam and 0.3 nm point resolution.